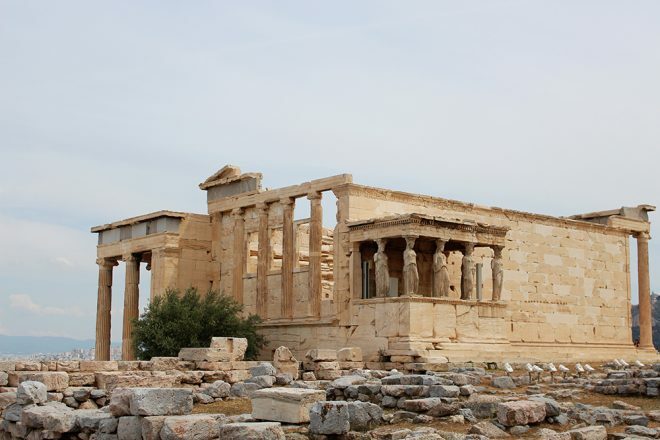 An acropolis is as settlement or citadel, where in Greek akron means “highest point, extremity” and polis means “city”. In Greece, there are more than one Acropolis, but whenever the name is mentioned, there is only one that can be, the Acropolis of Athens. 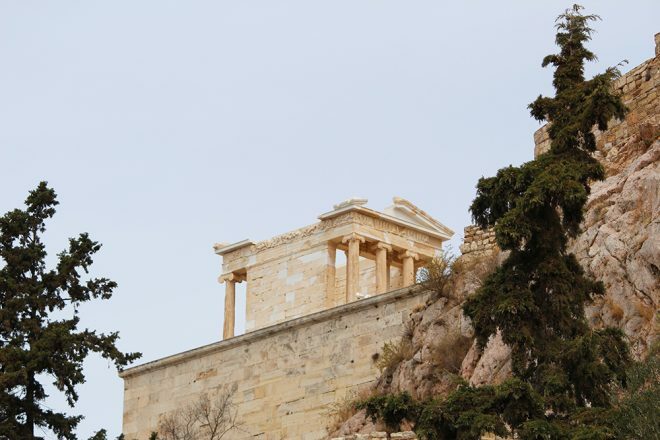 This sacred site is nothing less than the most visited attraction in Greece, and it’s probably the main reason to visit the capital, Athens. 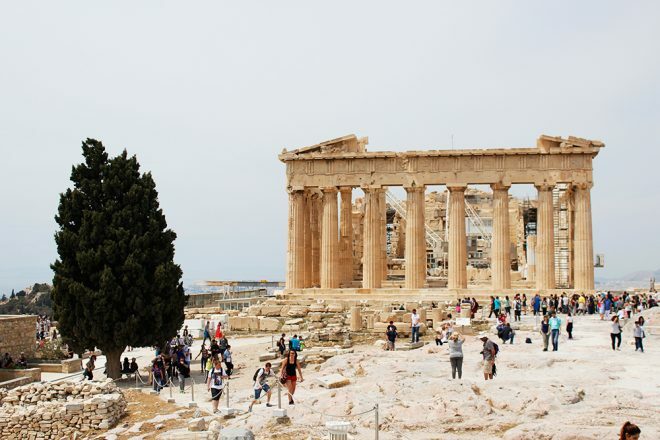 This UNESCO World Heritage site was dedicated to the goddess Athena, and it’s also where the so famous Parthenon is located. The hill where the Acropolis is situated was already inhabited in the Neolithic period (4000/3500-3000 BC), only later on it was dedicated to Athena. I’m no expert in Greek Ancient History so I won’t go further than this, but the sacred site originated the city of Athens, which was built all around it, and it was named after the goddess. If you are staying in the center city, you can easily get there walking, as everything is nearby. 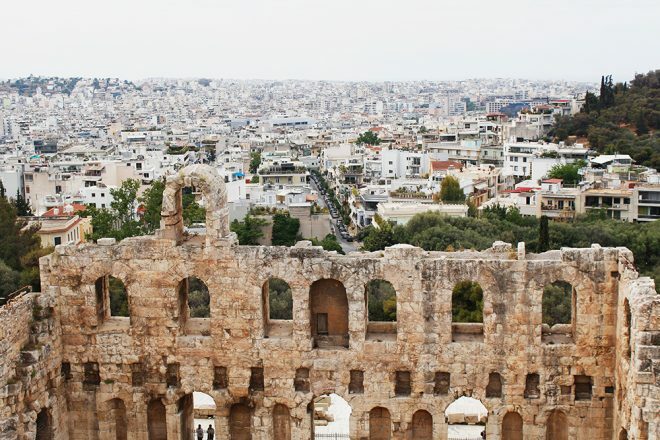 If you are a bit further, there are 3 metro stations near the Acropolis: Thesion, Monastiraki and Acropolis and from there is really easy to find it. Depending on which side of the Acropolis you arrive, for example if you are coming from the Plaka side, it must be tricky to find the main entrance. Just keep an eye open to the signs and you will find your way. 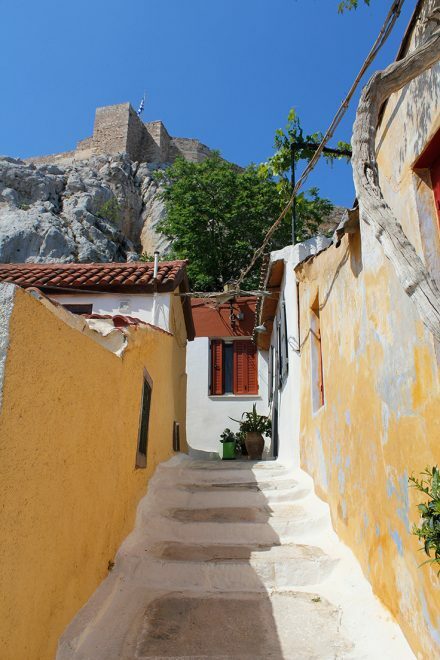 The great thing about coming from the Plaka side is that the way is beautiful, filled with narrow streets and colorful houses. Soon enough you will find the main gate where you can buy the tickets. 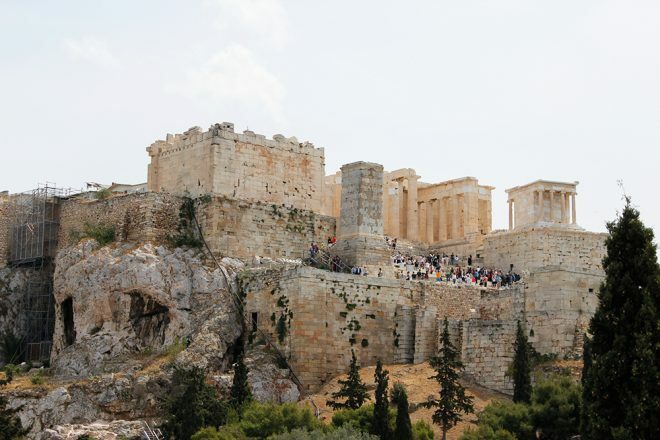 The Acropolis is normally open everyday from 08:00 to 20:00 during the summer season (April to October) and from 08:30 to 15:00 in the winter season (November to March). For more information on opening times visit the official website. Really! Keep in mind that this is the most visited attraction in the country, thousands of people go there every day. Arriving early as soon as the gate opens is highly advised, to avoid the crowd, as well as high temperatures during the warmer months. Another option is to arrive later in the day. 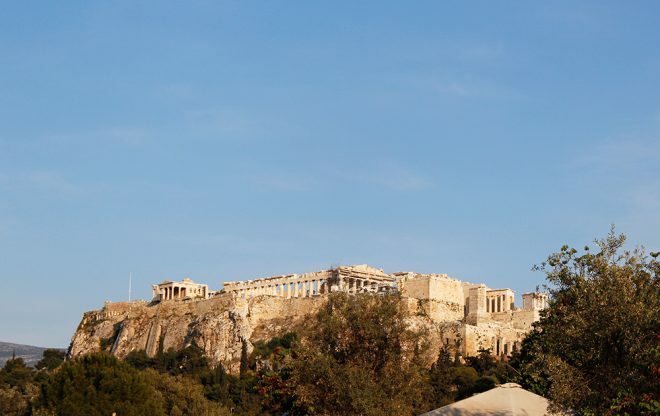 Tip: the best sunrise in town is seen from the Acropolis. 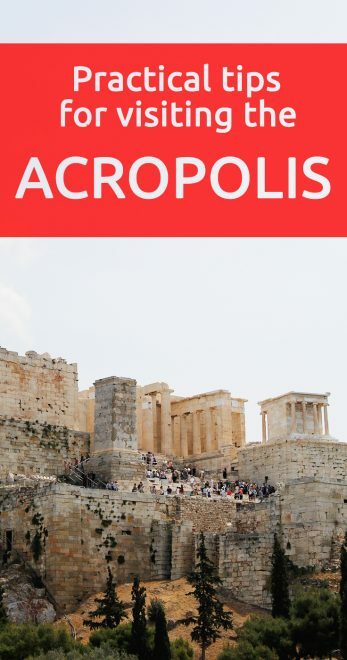 30€ full and 15€ reduced the special ticket, which is valid for 5 days and allows you to visit the following: Acropolis, Ancient Agora, Archeological Museum of Kerameikos, Archeological site of Lykeion, Hadrian’s Library, Kerameikos, Museum of the Ancient Agora, North and South slopes of the Acropolis and the Roman Agora. For more information on tickets prices and reductions see the official website. In the warmer months, it is highly recommended to take water with you and wear light clothing, as the Acropolis can get really hot. We were there in the beginning of May and already experienced high temperatures while walking the site. Another advice is to take your sunglasses and sun cream, wear comfortable shoes and avoid flip flops, for example. 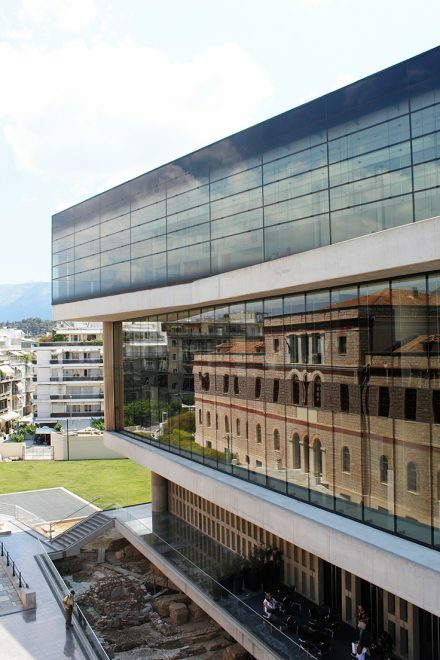 Right next to the Acropolis, on the southeast side, on Dionysiou Areopgitou Street, is located the Acropolis Museum. A modern building, whose construction was finished in 2007. 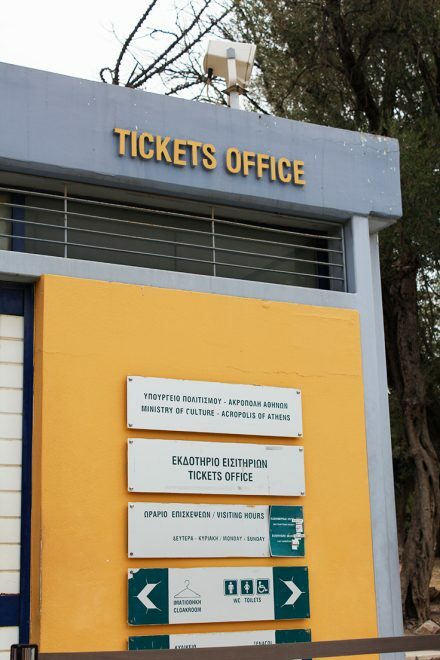 The museum, has over 14,000 square meters of exhibition space, where sculptures and other original artefacts originally found in the Acropolis, are showcased. There is also a café on the terrace a view to the Parthenon. For more information, visit the Acropolis Museum website. 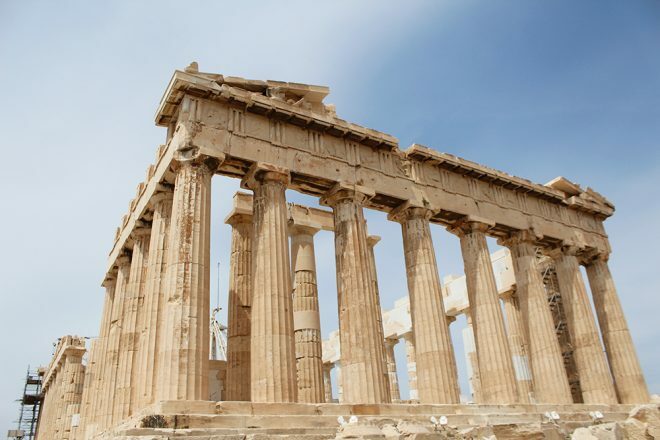 – Monuments you will find inside the Acropolis: Parthenon, Erechtheion, Propylaea, Temple of Athena Nike, Brauronion, Temple of Rome and Augustus, Pedestal of Agrippa, Beule Gate, Acropolis fortification wall, Chalkotheke, Old Temple of Athena. 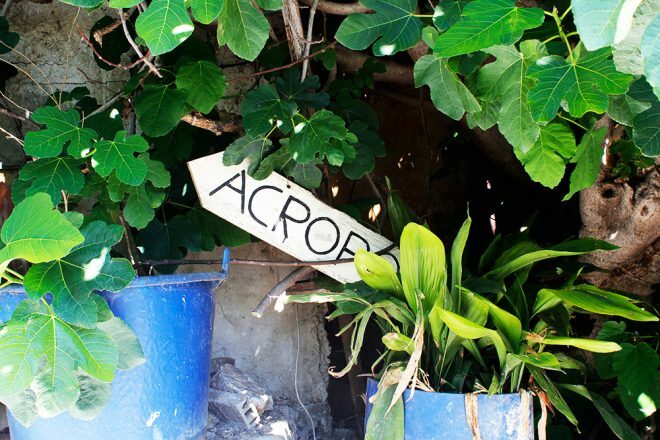 – It is also possible to hire a company or a private guide to take you around the Acropolis.